Vivekanantha Homeo Clinic & Psychological Counseling Centre, Chennai: Suffering from Migraine head ache, is there is any best treatment in Homeopathy medicines for migraine headache in Chennai, Tamilnadu? Suffering from Migraine head ache, is there is any best treatment in Homeopathy medicines for migraine headache in Chennai, Tamilnadu? Question: Respected doctor, am 42 years old man, suffering with migraine head ache for last 15 years, the episode may starts at any time, I feel a flash like light blinks in my inner eye, then pain stars, I feel vomiting sensation during the pain. If I vomit I feel some what better, I need to tie my head with ribbon or robe to reduce the pain. I need to sleep under dark room until the pain become normal. Its very hectic for me. i have taken many Treatment but no effect, Why migraine head ache comes? Is there is any treatment in Homeopathy system of medicines for migraine head ache? Pls save my life doctor. 1. Prodrome - Early symptom, where development of the condition is prominent. Symptoms such as headache, fever etc. are seen during this phase. 2. 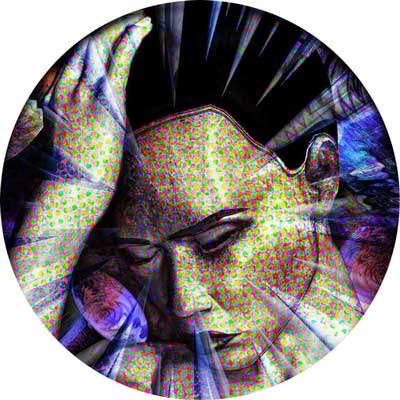 Aura - A kind of disturbance seen in migraine sufferers before the migraine headache. Main symptoms are seen here. 3. Pain - Headache phase where the actual migraine headache is seen. High levels of headache are prominent here. 4. Postdrome phase - The final phase of migraine headache. Exposure to smoke: Smoking or exposure to cigarette smoke is one of the major causes. According to a research, more than 50% of people who gave up smoking became migraine-free. High stress: High stress periods, and then sudden rest can cause disturbances in the Central nervous system and can cause attacks of headache when resting. Too much sleep after high stress should be avoided to avoid these attacks. Hormonal fluctuations: This can also be regarded as stress, which is caused by over excitement. During excitement, high levels of adrenaline is secreted and due to this, stress is experienced, and this triggers attacks of headache. Irregular sleep: Too much or too little sleep is risky to cause migraine attacks. Long weekend sleeps are pleasant while sleeping, but after the sleep ends, the attacks may start. Regular routine of sleep have to be maintained. Food habits: There are a lot of food habits that may not suit your body and cause many symptoms ultimately leading to migraine attacks. So a regular balanced diet should be maintained. Symptomatic homoeopathic medicines works well for Migraine Head ache, Homoeopathic medicines acts best without any side effects.